"After my death I will come back and haunt over you, checking on your practice." Dainin Katagiri Roshi, one of the greatest pioneers of Zen in America, said this frequently, teasing Dosho Port and his fellow students. 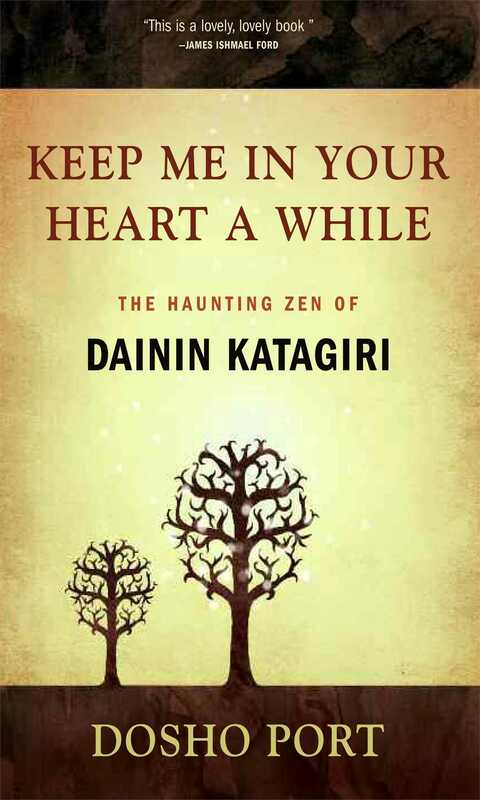 For Dosho, Katagiri Roshi's "haunting" still includes, to borrow a phrase from Warren Zevon, "keeping him in my heart a while" - continuing the intimate exploration of the indelible imprint that a Zen teacher leaves on a student's heart. Katagiri's teaching was at once powerful, gentle, and sometimes almost even casual. For Dosho, some of the richest teachings came in these simple, casual moments during everyday interactions. The structure of this book is built around a series of such vivid truth-happening places, evocative of the ancient koans of the Zen tradition, touching on such topics as the nature and purpose of Zen, the dynamic and working of realization, and, of course, the functioning of the teacher-student relationship. Dosho Port is a Zen priest and Dharma heir of Dainin Katagiri in the Soto Zen tradition. He has also trained with Tangen Harada, Thich Nhat Hanh, and John Daido Loori. Dosho teaches with Wild Fox Zen at Transforming Through Play Temple in White Bear, Minnesota. He is a half-time single parent of two wonderful children and the program lead in a school for adolescents with severe behavior problems. "Dosho weaves together the biography of his teacher with his own life as his student in a way that perfectly illustrates how Zen is transmitted through the generations, mind to mind, across all the seemingly insurmountable barriers of time and cultural difference." "The author generously sprinkles personal stories and Zen lore throughout this insightful book, laughing-sometimes through tears-at the perils and joys encountered by those who persevere along this ancient path. An insightful book." "A wonderful book--I highly recommend it." "As Dogen Zenji said, Dharma teachers and disciples are like entwining of vines (katto in Japanese). Whether disciples are in the stage of faithfully following the teacher's style of teaching and practice, of rebelliously trying to become independent from the teacher, or of being mature enough for going beyond, the teacher's dharma always deeply penetrates the disciple. In this book Dosho Port offers one of the examples of continuation of Dharma from teacher to disciple, from the East to the West." "This is a lovely, lovely book that can be read fruitfully by both beginners and those who are deeply familiar with the Zen way. Dosho Port is a worthy heir to his teacher."